It is as easy as it sounds. If you have a car in good condition and meet the requirements, then you can earn money from ridesharing companies like Lyft and Uber. Both of these websites have a very easy signup process, and you have the flexibility to choose your own hours. 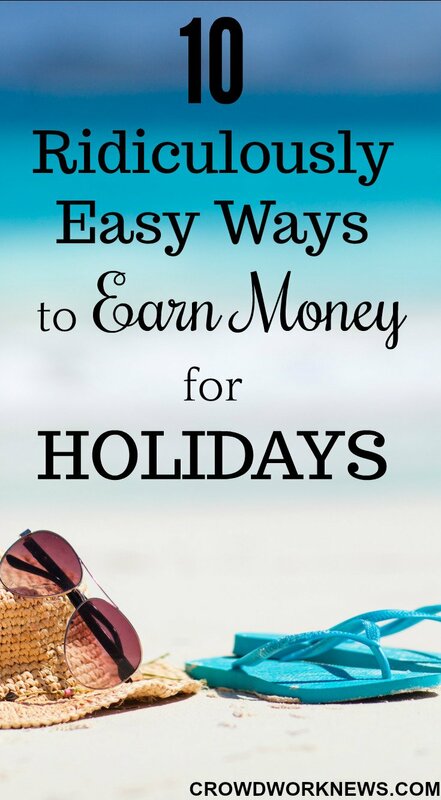 This is one of the quickest ways to make money for holidays. You also get a bonus of $300 when you complete 100 rides with Lyft in one month! There are so many things that you can sell online nowadays, like old clothes, books, crafts, electronics and many more. With so many legitimate websites that can help you sell your stuff, it is easier to get rid of the clutter for the festive season and still earn money. Trust me; you would be surprised at the things you stock up that you actually don’t need or use. Use platforms like BookScouter, Decluttr, Poshmark, etc. to start selling. Testing websites can be a very good extra cash earner for holidays as it does not require any particular skill. You need to know your way around sites. By that I mean you should be able to navigate the website and check the functionality. For this gig, you need a webcam and headphones to speak out your views on the site. Most of the website testing companies like Whatusersdo, TrymyUI, Usertesting pay around $10 per test. If you are a bargain hunter, and love remodeling things, then earn extra cash by flipping items. You can flip anything like furniture, antiques, toys, cars, etc. If you got the interest to do this, then this could turn out to be more than a just short time hustle. 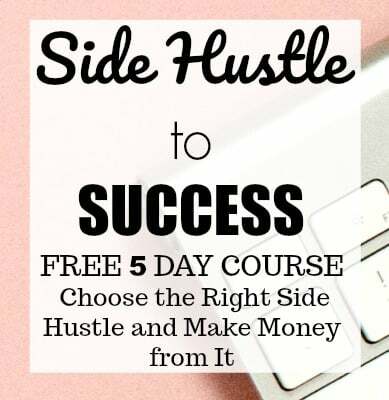 I know this amazing couple who make a full-time income by flipping flea market items. They even make six figures with this! A holiday gig could become a full blown business for you. These are one of the fastest ways to earn some spare cash in your free time. But beware, not all surveys are legitimate and pay well. Because you are short on time to make money for holidays, I suggest taking up surveys like Pinecone Research, InboxDollars, Swagbucks, and YouGov. These surveys pay well and are thoroughly legitimate. You also have $5 bonuses to sign up for Swagbucks and InboxDollars. If you are looking for a website to do more than just surveys, then read out Swagbucks review and find out why it’s the best choice. If you are a person who enjoys being outside, then taking up some gig jobs can be a perfect way for you to earn money quickly. These are the short errands you do like deliver food, fix things, etc. There are many types of tasks, and you can choose what you want to do. You can deliver food through companies like UberEATS, Shipt. The companies like TaskRabbit, Gigwalk have other types of tasks for you. This type of work can suit you best if you have a lot of free time on hand. This is not something new but it’s a good way to make some fast money. There are so many legitimate non-spammy websites out there that give you good signup bonuses. This is in addition to having excellent earning potential from them. There are many good websites like Groupon, Swagbucks, Ebates, FushionCash, etc. that give you instant free money when you sign up for them. A quick way to pool up money isn’t it?! This might not be for everyone, but if you love pets, then you can quickly earn money just in time for holidays. Petsitting is a perfect paying side gig, and many websites hire pet sitters. If this is something you are looking for, then sign up for companies like Rover.com, PetSitter.com and start taking care of the furries. Online teaching is the easiest thing to do now if you are an expert at something. But even if you are a native English speaker, there is a good chance you can start a good side gig by teaching conversational English to Chinese kids through websites like VIPKID, Nicetalk or Palfish. The teaching requirements are minimum, and it also helps if you have some prior experience. Microtasks are the small tasks like surveys, reading emails, short captioning, transcription, data annotation, etc. Though these tasks don’t pay much, if you couple them with other gigs they can give you good cash before the holidays. 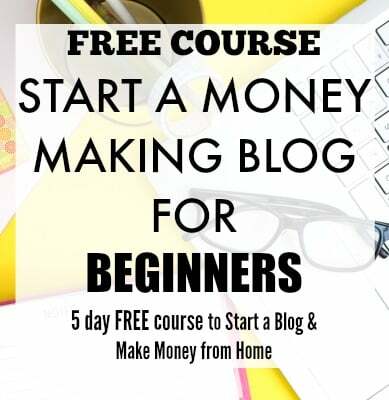 Sign up for websites like Amazon MTurk, CrowdSource, Clickworker to start exploring this money-making opportunity. I have a full post on how to make money from MTurk, read this post before you sign up. All the above extra income ways are very flexible and can be done by anyone. Keep in mind that all these ways are just additional income options and they can only suffice your extra income needs. Make holidays a stress free time to enjoy with family and start filling up your shopping funds early!